Four Tet in Montreal or Quebec City? Inform me about the next events for Four Tet. 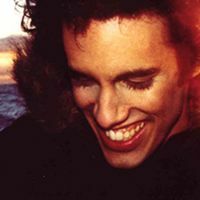 Enroll yourself to our priority waiting list for Four Tet to be alerted when new tickets are available. Filling this form doesn't engage you to any purchase. Four Tet, electronic music solo projet of Kieran Hebden, will be part of the MuUTEK Festival in June 2011. The Londoner has 5 albums to his credit including the last, There Is Love in You, released in 2010. Kieran Hebden is also a member of the British post-rock band Fridge.